A nice house in an upscale Southern California neighborhood signifies a fresh start for the marriage of former Chicago residents Simon (Jason Bateman) and Robyn (Rebecca Hall): he for a step up in his career ladder and she with an eye towards motherhood. Their newfound bliss is threatened by the emergence of a character from Simon’s past, a classmate named Gordo (Joel Edgerton) who intends to reestablish connection with Simon who in turn hardly remembers him. Despite the subtle snub Gordo persists, and like a welcoming neighbor leaves little gifts at the couple’s doorsteps until he becomes a virtual part of their lives. Simon bristles at Gordo’s annoying presence but Robyn thinks he is harmless. The Gift is Edgerton’s project, his directorial debut for a feature; and he also writes the screen play besides playing a major role in it. Outside of Edgerton’s skill at being a first-time helmsman, the film’s main strength is the plot which unfolds as a forceful real-life drama among characters who are so real they could very well be your neighbors. The finesse with which Edgerton dovetails the cast’s razor-sharp acting with the story’s twists and turns proves that a low-budget, slow-burn thriller can be a compelling stand-out in a marketplace filled with the razzle-dazzle of fantabulous superhero movies and slick spy flicks. Edgerton shows promise as a director, unveiling shades of the suspense master Hitchcock through his adeptness at tweaking the audience’s expectations into unpredictable directions. While The Gift banks on edge-of-the-seat elements to sustain audience interest, the director’s propensity for startling and unnerving the viewer must not daunt us into accepting the film as mere atmospheric cinema. 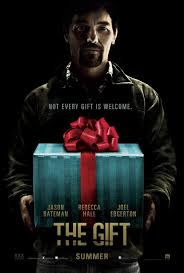 The Gift flaunts its ambiguities, and Edgerton, who takes the material seriously, nonetheless chooses not to take a definitive stance on the moral issues in envelops. Much as CINEMA wants to raise questions or to make clear moral pronouncements on the movie’s conclusion, it cannot do so without uncovering things that must be left under wraps for viewers to discover and ruminate on. Suffice it to say that The Gift is a powerful tool to spur us to examine the lengths to which human beings would try to numb themselves from the shame of their darkest sins. DIRECTOR: Christopher McQuarrie LEAD CAST: Tom Cruise, Rebecca Ferguson, Jeremy Renner AUTHOR: Christopher McQuarrie, Drew Pearce SCREENPLAY: Drew Pearce, Will Staples FILM EDITOR: Eddie Hamilton MUSIC: Joe Kraemer GENRE: Action, Adventure, Thriller CINEMATOGRAPHER: Robert Elswit PRODUCED BY: Tom Cruise, JJ Abrama, David Ellison, Bryan Burk PROUCTION COMPANIES: Alibaba Pictures Group, Bad Robot Productions, Skydance Productions, TC Productions DISTRIBUTORS: Andes Films, Columbia Pictures, Paramount Pictures, United International Pictures, Westec Media Limited FILMING LOCATIONS: Austria, Morocco, England, Malaysia RUNNING TIME: 131 mins. With the Impossible Mission Force (IMF) closed down, Ethan Hunt (Tom Cruise) becomes a fugitive, bent on proving the existence The Syndicate. As Hunt begins to investigate The Syndicate and its goals, he realizes the group is way ahead of him, with its network of highly skilled operatives launching an escalating series of terrorist attacks to establish a new world order. Hunt is captured by The Syndicate but is helped to escape by Ilsa Faust (Rebecca Ferguson), a disavowed M16 agent and syndicate operative. She betrays him later on, only to reappear as Hunt’s savior again. Is Faust a friend or an enemy? A perplexed Hunt is kept guessing. Mission Impossible: Rogue Nation may be the most thrilling mission yet, where Cruise outdoes himself with his own daredevil stunts. In Ghost Protocol, he clung to the towering Burj Khalifa; now the movie opens with him hanging on to the outside of a plane taking off. Quite a feat when the actor is over half a century old, but Cruise pulls it off impressively, especially since he does it without benefit of a double or special effects. The stunts alone make the film worth the price of admission, but Mission Impossible: Rogue Nation does one better—to the melee it throws in Ferguson whose Ilsa is just as lethal and menacing as Hunt. Standing shoulder to shoulder with Hunt in the skills department, Ilsa is not just an equal to Hunt—the woman may even be superior, often rescuing instead of being rescued by the man. Other bonuses are: the picturesque glimpses of Vienna, London and Casablanca where the movie was filmed, and a breathtaking chase in a theater as an opera is playing. The few flaws (like inconsistent lighting) fade out in the brilliance of its overall technical merits, from acting to plot, directing to cinematography. If you are among those who are against violence being sold as entertainment but can’t resist this “entertaining violence”, be warned that this movie has loads of it: intense fistfights, knife fights, gunplay sequences, car and motorcycle chases, characters punched and kicked and flying out through windows and hit by cars or thrown off motorcyces, broken necks crunching, cars exploding with people inside them, people collapsing from knockout gas, etc. The violence is almost completely bloodless, though, as if to remind viewers “It’s only a movie, guys!” Despite the mayhem, however, positive themes underlie the hyperactivity: enduring friendship, courage in fighting for one’s convictions, loyalty to one’s country, respect for morals and dedication. And despite its James Bond-ish coloration, the hero and the woman in the end, although accomplishing the impossible mission… no, no… no spoilers here. Scott Lang (Paul Rudd) is an ex-convict who has just been released from prison where he served time for committing a crime—urglary. He has vowed to change his ways after his release so the first thing he does is find a job. But consequently, he has trouble finding one because of his record. This leads to further complications of not being able to see his daughter Cassie until he is able to pay child support. Until some ironic events lead him to Dr. Hank Pym (Michael Douglas) who offers him another chance—he is tasked to use a suit that will make him shrink. He is hesitant at first, but he will come to a point wherein he’ll have no other choice but to take the offer or he’ll remain in jail. Dr. Pym wants Scott to use the said suit to plot a strategy to stop the evil plans of his former trainee, Darren Cross (Corey Stoll) who is bent on unlocking the secrets of shrinking technology and selling this to the highest bidder, putting in danger the entire humanity. 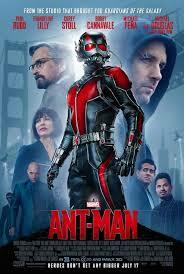 Ant-Man is a fine “little” film with a big heart in human beings’ both human and super-humanness. The story is solid, focusing on one flawed man and in the background are a web of relations and interrelations that make the film very personal. Ant-Man alternates with its comedic and dramatic appeal. This is not the usual superhero movies audiences see with protagonist trying to stop a villain that is about to destroy the world. Rather, this is a film that talks widely about second chances and healing broken relationships. Given the meat of the story, the film in its entirety has worked well in choosing the cast. The actors fit their characters well. Paul Rudd is truly likeable in this film and the supporting cast headed by Michael Douglas gives added force to the film with their simplicity, sincerity and natural depth. Technically, Ant-Man is excellently done. More than a spectacle, the CGI works in intensifying the film’s appeal and storytelling. The special effects do not overpower the very essence of the film that audiences hardly notice that there is CGI at work; they just suspend their disbelief and are convinced that yes Ant-Man is for real. That in itself makes the entire film a real success. Ant-Man centers on flawed characters and their equally flawed relationships – and how all power, fame and money shrink in the background when heart and character and meaningful relationships take center stage. It may seem that Ant-Man is just another super-hero story but overall, it is a story about family and friends, about fathers and daughters, mentors and protégés. The film demonstrates a father’s great love for his daughter: both Lang and Dr. Pym sacrificed a lot for the sake of their daughters. Meaningful relationships really give breath to one’s life and reasons for humans to live. Unconditional love is the fuel that keeps relationships burning. 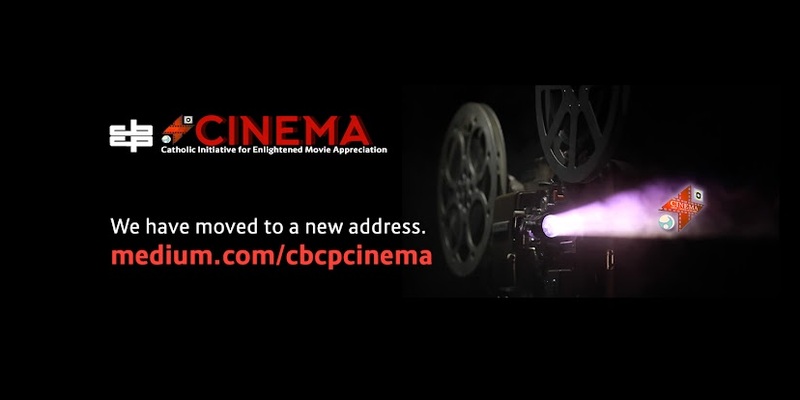 More than a story about the triumph of good over evil, the film has also given premium on giving sinners and convicts or ex-convicts a second chance. For as long as there is a tiny desire for a man to change his ways, there is always hope and that is only possible if one concerned soul would be willing to extend a helping hand. The film is calling its audiences as the Church calls on his people to be disciples in their own little ways. Dr. Pym has done just that with Lang. But given the film’s sci-fi action and violence, heavy theme and some crude language, CINEMA deems the film as suitable for audiences 13 and below with Parental Guidance.